Wifi or Wireless Fidelity is the name of a popular wireless networking technology that uses radio waves to provide wireless high-speed Internet and network connections (as if you didnt know..),Wifi has become an integral part of our lives today. Wifi is secured using a WPA protocol which intends to secure Wireless LANs like Wired LAN’s by encrypting data over radio waves,however, it has been found that WEP is not as secure as once believed.Now almost anyone can hack into a Wifi network by generating the valid WEP key using Bactrack. Read on to learn how ..
Disclaimer: This tutorial is given for educational purposes only and that for any misuse of this information, the blogger cannot be held liable. This is the Linux equivalent of ipconfig, you will see the network adaptors in your system. See which one is for Wi-Fi. 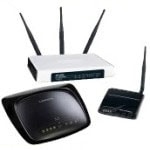 A few examples are wlan0, wifi0, etc. As you execute the command, you will see a certain number of beacons and data packets that will be stored in the filename you have given. The file will be stored in the root of the system drive (Click on Computer and you will see the file).The file will be present in two formats: *.cap, *.txt. As you type this command you will see that the data packets required for breaking the key will increase dramatically thereby saving you a lot of time. Open another console once you have around 20,000 data packets and type the following command to reveal the WEP key. aircrack-ng –n 128 –b [BSSID] [Filename without the extension] etc. etc. Now just login using the WEP key you got. PS : Like this tutorial ? You can always support me by buying me a coffee or You can always try some of the cool merchandize from PROHACK. POSTED BY XERO ALL RIGHTS RESERVED.ANONYMOUS AUTHOR. how to hack wifi with back tracking os? How do i do it with my android phone? how to do it in android? he tol can you teach me how to hack WiFi security ?